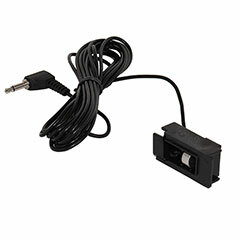 Dension iPod AUX USB adapter for certain BMW vehicles. 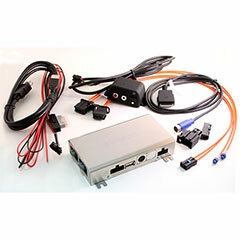 Dension Gateway 500 Lite for MOST Fiber optic systems. 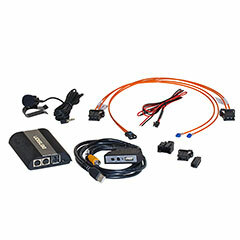 "An add-on kit used for BMW vehicles with factory DSP (digital signal processing) radios. 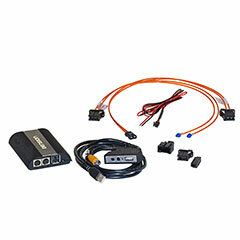 Enables the DICE i-BMW-T, available separately, to be used with some DSP-equipped radios." 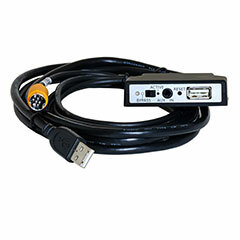 USB for iPod/iPhone charging, control, audio & universal audio input (aux cable included). USB with charge and transfer audio through lightning connector. Song up and down of all music apps that support it. Playlist up and down of music on you iPod/iPhone. Also works with older iPod/iPhone that have the 30 Pin port. USB can be used to charge any phone but only control & audio of iPhone & iPod. 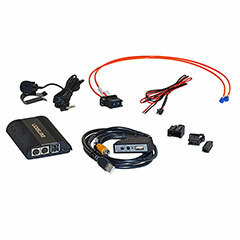 Bluetooth interface for any BMW that has a 3 and 6 PIN CD changer connections.